I love this suggestion: “Invite people over for brunch. After the meal show them the items you are giving away and let them select things that have meaning for them.” This makes it almost like a celebration instead of a chore, and is way better than just handing over a box of stuff for them to sort through. I like your emphasis on the WHO in downsizing. When all is said and done, it is you that has to live with your belongings. If you truly downsize for yourself and for your future well-being, you can’t go wrong. I like the idea of thinking about the things we value but don’t use, that are just sitting in a box taking up space somewhere because we can’t let them go, and how they could be bringing someone else happiness who would actually use them. It’s a great way of helping people chose to let go. The point I liked best is the “When”. In my practice I’ve often heard that because a client isn’t planning on moving, she doesn’t see the need to downsize yet. You’re absolutely right about starting when there’s no pressure to get it done quickly. 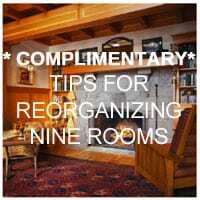 This allows plenty of time to reminisce and share stories about the items you’re passing along. You also want to get a price list that accompanies the service list. a very good chance in providing you the best service. Thanks for the suggestion. 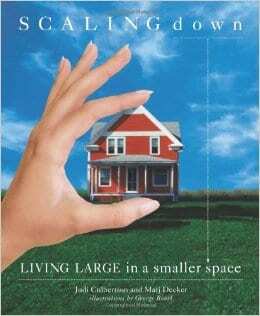 I will write about downsizing. massive amount work? I’ve very little expertise in coding but I was hoping to start my own blog soon.